With spectacular views and breathtaking wildlife, Alaska offers the nature lover an abundance of scenery for pleasure and relaxation. There are a lot of activities for those who love the great outdoors, but the state’s severe shortage of medical practitioners might be too daunting, even for the most avid outdoorsman. The shortage of primary care providers is a pressing concern for stakeholders across the United States where there are about 6,000 federally designated areas with a shortage of primary care physicians. The situation in the Alaskan frontier is a bit more complex as the population is so sparse. Nurse practitioners can go places a physician won’t go and help close a gap in primary care. The master’s degree in nursing (MSN) and the doctor of nursing practice (DNP) prepare registered nurses with the specialized training to care for patients in a specific role and population focus. Suitably trained, the graduate will be eligible to take a national certification exam to qualify for authorization to practice in Alaska or licensure in another state. As mid-level providers, nurse practitioners use their advanced clinical training to provide aspects of primary care in areas where there is a shortage of primary care physicians. In some parts of rural Alaska, clinics run by nurse practitioners supply the sole access to primary care for residents. The Medicaid and uninsured population have been most affected by lack of primary care because of low reimbursement. Nurse practitioners have been a viable solution to the provision of care to this oft-neglected part of the population. Nurse practitioners not only provide greater access to care but also reduce cost since their earnings are less than that of primary care physicians. A registered nurse preparing for advanced practice as a nurse practitioner can complete the requirements in about 2 years. This is significant because it allows programs to deliver professionals to support the overburdened primary care workforce in less time than it would take to prepare physicians. Alaska lets NPs diagnose and prescribe medications without the oversight of a physician, which strengthens primary care capacity and consumer access in the state. This loosening of the restrictions imposed by other states demonstrates Alaska’s commitment to delivering care to residents. 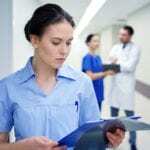 Nurse practitioners have been shown to provide the same, or even higher, quality care of physicians, and patients often report high levels of satisfaction with their services. The primary emphasis of the master’s degree in nursing program is to equip students with the knowledge and specialized skills to function with the health care system. The program at the University of Alaska Anchorage has a nursing leadership option and a family nurse practitioner or psychiatric mental health nurse practitioner. The master’s curriculum provides the foundation for further study at the doctoral level. Since the program is accredited, graduates will be eligible to sit the national exam for advanced level certification and practice. Part-time students can complete the master’s program in 6 to 8 trimesters. The FNP and the PMH-NP require completion of 50 credits, including the scholarly project to each the degree. The nursing leadership option requires completion of 32 credits for the degree. Course content for the nurse practitioner options includes role development in advanced nursing, nursing health policy, evidence-based advanced practice nursing, knowledge development for advanced practice nursing, biostatistics for health professionals, and scholarly project. Students must obtain formal admission to the program to commence the specialty courses which include family nurse practitioners, advanced pathophysiology, advanced health assessment in primary care, and pharmacology for primary care. The UAA offers the master’s program in online and hybrid formats. The nurse leadership courses are delivered completely in online format. The FNP and PMH-NP options are hybrid – core and specialty courses are available online with synchronous and asynchronous delivery. Students might be required to complete additional coursework on campus and attend live online sessions. Also, the curriculum requires completion of a clinical externship in Alaska, which is scheduled in the student’s community as much as possible. Students also have the option to participate in independent clinical opportunities throughout the state. RN to MSN: A registered nurse can advance his or her career by enrolling in a master’s program to develop specialized skills. The RN to MSN option is designed for those who hold an associate’s degree in nursing and gives them the opportunity to earn a master’s degree in a much faster time than it would take the bachelor’s degree and master’s degree. Students will need to complete pre-requisite courses and the undergraduate requirements before commencing graduate courses. Direct Entry MSN: Registered nurses who hold a bachelor’s degree can enroll the MSN program and complete the requirements for the degree (32 to 50 credits) in 6 to 8 trimesters with full-time attendance. The program at UAA has core and specialty courses students must complete. RNs who hold a BSN may commence the core courses, with permission, before securing formal admission to the program. In Alaska, MSN students may prepare for an FNP, PMH-NP, and Nurse Leadership role. 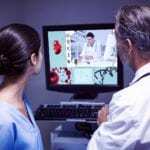 This wishing to prepare for a role as a nurse anesthetist, nurse midwife, or another role can enroll in an online program at universities located in other states. Post-Master’s Certificate: A registered nurse or advanced practice nurse will select the post-master’s certificate option to receive the specialized training for certification in another advanced practice, leadership, administrator or educator role. The certificate requires completion of 12 to 32 credits, including theory and clinical preparation for the role. Following is a summary of requirements for enrolling in the MSN program at UAA. Meet the admission requirements for enrolling in a graduate program. Application and fees must be submitted by the deadline for the respective semester. Request admission to graduate study to complete more than 9 credits while waiting for admission to the specialty track. Submit an application form to the SON. Submit proof of completing a bachelor’s or graduate degree in nursing from an accredited institute. Have an undergraduate GPA of 3.00. Have a minimum grade C in undergraduate research and statistics. Provide a copy of your unencumbered RN license administered by the Alaska Board of Nursing. Letters of recommendation submitted directly to the SON. Clinical experience as a registered nurse. Admission to the specialty track requires an interview and proctored writing – scheduled by the school, documentation of continuous CPR certification, evidence of good physical health including up to date immunizations, PPD skin test, and an annual HIV test, and criminal background clearance. Health, background check, and drug screen requirements are subject to change based on the facility. The average cost for tuition for graduate study in Alaska is $466 per credit hour for resident students. Nursing students will need to budget for the cost of textbooks, nursing supplies, criminal background check, immunizations, insurance, and certification exams. Financial aid and state grants may be available for eligible students. To practice as an APN in Alaska, you must have a license to practice a registered nurse in the state. A registered nurse must receive authorization to practice as an APN or to use the title. The state defines an advanced practice nurse as a registered nurse who is authorized to practice in the state based on the merit of specialized education, experience, and national certification to diagnose and treat patients and prescribe and dispense medical or corrective measures in line with state regulations. Check your application to ensure it is the most recent copy available from the Board. Before applying for authorization to practice as an Advanced Nurse Practitioner, you must be certified by a body recognized by the Board. If your certifying agency is not on the Board’s approved list, you must provide the Board with sufficient data to assess the certifying agency’s authority. A completed, signed, and notarized application. A check or money made payable to the State of Alaska. The fees are non-refundable application fee ($50), ANP authorization fee ($60), Prescriptive Authority fee ($50), Controlled Substances Prescriptive Authority fee ($50), and the temporary permit ($50) – optional. A certified transcript sent directly to the Board of Nursing from the school of nursing. A certified (true) copy of current certification in a role and population focus by a national certifying body. If the certifying agency does not uphold continuing education requirements, you must provide documentation of completing 30 contact hours of continuing education in the role and population focus within the last two years. A completed Consultation and Referral Plan – the form is enclosed in the application packet. A completed reference form. One of three references listed on your application should validate your competency to practice as an advanced nurse practitioner and that you have demonstrated competency to practice in the two years preceding the application. 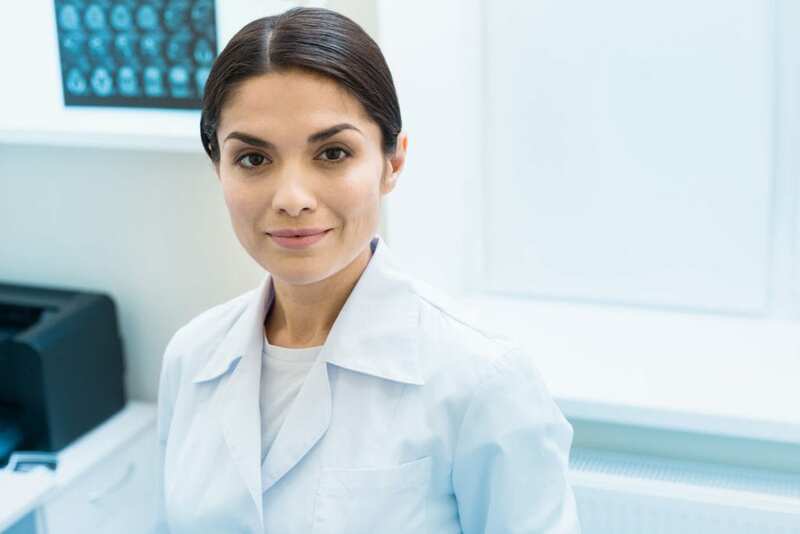 A certified, true copy of your advanced nurse practitioner license or authorization from another state or jurisdiction – submit if you’re applying for a temporary permit and hold current licensure in another state. Documentation indicating that you completed 15 contact hours of education in advanced pharmacology and clinical management of drug therapy. Certificates must not be older than two years. Present a course outline or document indicating the total hours dedicated to pharmacology. A completed Advanced Nurse Practitioner Authorization to Prescribe and Dispense Controlled Substances. A check or money order in the amount of $50 and made payable to the State of Alaska. You must also apply for registration with the Federal Drug Enforcement Agency. You must sign all prescriptions with the initial ANP and the identification number assigned by the Board and DEA number. The Board may issue a non-renewable temporary permit to an applicant who holds a current license to practice as a registered nurse in Alaska and is currently licensed to practice as an advanced nurse practitioner in another state or jurisdiction. The candidate must have been approved to take a certifying board exam or awaiting certification results. Failure of the certifying exam will invalidate the permit and the Board must be notified. If you are waiting to take the certifying exam or for results of the exam, you must submit a copy of the exam approval letter from the national certifying body. The letter must indicate the date of examination. There are additional requirements if you graduated from a foreign advanced practice nursing program from a school outside of the United States or Canada or a program where English is not the primary language. An overall IELTS score of 6.5 with a minimum score of 6.0 on all modules. An overall TOEFL-PBT score of 560 with a score of 50 on the TSE. An overall TOEFL-CBT score of 220 with a score of 50 on the TSE. An overall TOEFL-iBT score of 84 with a speaking score of 26. A certified registered nurse anesthetist is defined as a registered nurse who has been authorized to practice in the state based on the merit of specialized education and experience and is certified to administer anesthetic and give anesthesia care in line with state regulations. A check or money made payable to the State of Alaska. The fees are non-refundable application fee ($50), CRNA authorization fee ($60), Prescriptive Authority fee ($50), Controlled Substances Prescriptive Authority fee ($50), and the temporary permit ($50) – optional. A certified (true) copy of current certification or recertification. Written practice guidelines applicable to your Alaskan place of practice – the form is enclosed in the application packet. A completed reference form. One of three references listed on your application should validate your competency to practice as a CRNA. A certified, true copy of your current registered nurse anesthetist license or authorization from another state or jurisdiction – submit if you’re applying for a temporary permit and hold current licensure in another state. Your APN authorization must be renewed at the same time as your registered nursing licenses. Both licenses must be renewed before November in even-numbered years. Requests for renewals may be submitted online or via paper renewal between September 6 and November 30. Licenses not renewed nu November 30 will lapse on December 1. There is no grace period for the RN license or APN authorization. The Board will send a notification to renew your license 6 weeks before the expiration to your last known address. It is essential that you keep your address up-to-date with the Board to receive timely notifications. 12 contact hours of continuing education in advanced pharmacotherapeutics and 12 contact hours in clinical management of patients if you are an ANP. 8 contact hours of continuing education in pharmacology if you are a CRNA. Do not forward verification of completing the CE requirements unless the Board sends you notification that you have been selected for a random audit.